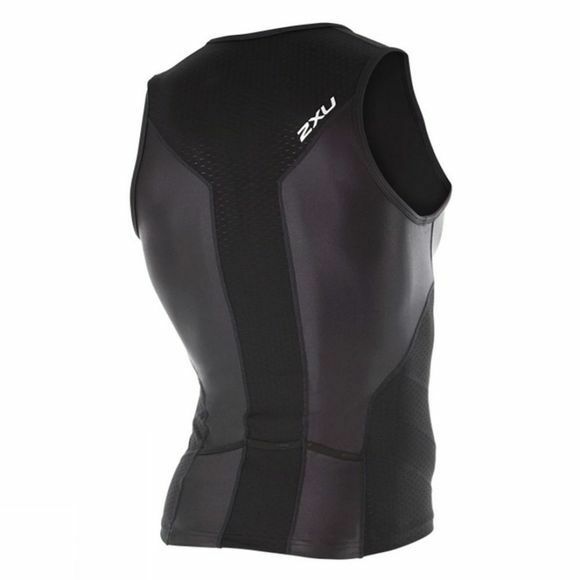 The X-VENT Tri Singlet uses 2XU’s most advanced cooling Ice X technology. Combining yarns with Xylitol surface fabric cooling, and UV reflectors to stop the garment from absorbing the suns heat, the Tri Singlet is guaranteed to help you stay cool and comfortable through all disciplines. 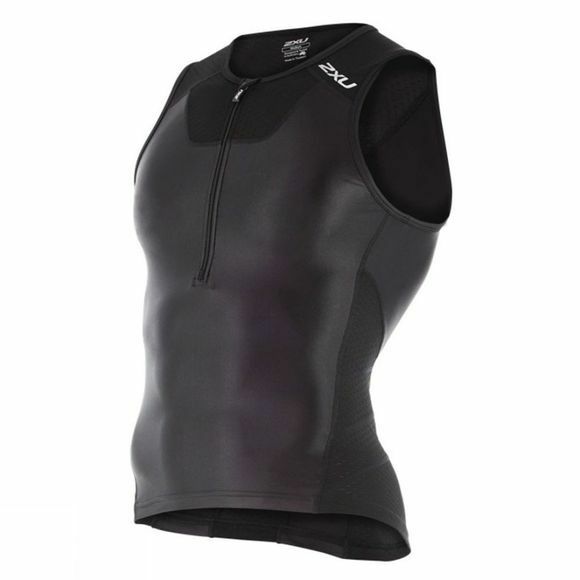 With flatlock seams to reduce the risk of chafe, and Sensor Mesh X Fabric with Ergonomic Panels to provide support this Tri Singlet is the perfect garment to support you through your triathlon. Three rear pockets also leave ample room for fuel storage.